Providing a method to simplify data protection, the recently announced STORServer converged data protection appliances use IBM® Spectrum Protect™ Plus designed for easy setup, easy management and easy recovery. Created for virtual machine (VM) backups and those who administer them, IBM Spectrum Protect Plus helps users focus on their most important tasks, such as data availability, control and management, instead of learning how to operate a complicated backup tool. In fact, IBM Spectrum Protect Plus can be set up in just minutes and protect data in as little as one hour. To meet enterprise data protection requirements, integrate IBM® Spectrum Protect™ for advanced data protection and storage. IBM Spectrum Protect integration allows long-term offload of backup copies for data governance and compliance requirements. Data can be copied directly from IBM Spectrum Protect Plus to IBM Spectrum Protect. 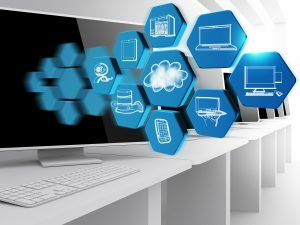 From there it can be moved to any of the storage tiers supported by IBM Spectrum Protect, including disk, a wide range of tape devices, multiple cloud data stores, and object storage, including IBM Cloud Object Storage. Recovery from any of these tiers is a single-step operation. You have the ability to recover from Spectrum Protect or Spectrum Protect Plus. 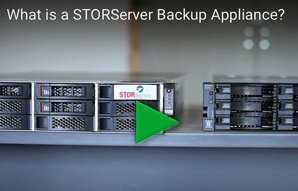 STORServer converged data protection appliances are backed by your choice of support options. All support levels provide access to our certified backup consultants as a single point of contact for problem resolution.